Constructed of durable ThermoPlastic Rubber (TPR), with an antibacterial agent to help suppress the growth of bacteria and mould to protect the brush, the Ergonomic Toilet Brush thoroughly cleans the toilet bowl without scratching the surface. The cylindrical-shaped head reaches into the toilet, while the extension is specially designed for thorough cleaning under the rim. The plastic handle has an ergonomically designed grip with a touch of rubber for a comfortable and easy hold. The brush head is designed for use on both sides of the brush so you don’t need to flip it to complete your cleaning task. After rinsing, store the Ergonomic Toilet Brush in its caddy, where it air dries quickly just above the caddy’s base. Nylon toilet brushes can accumulate bacteria, which can potentially spread to other items in the bathroom. 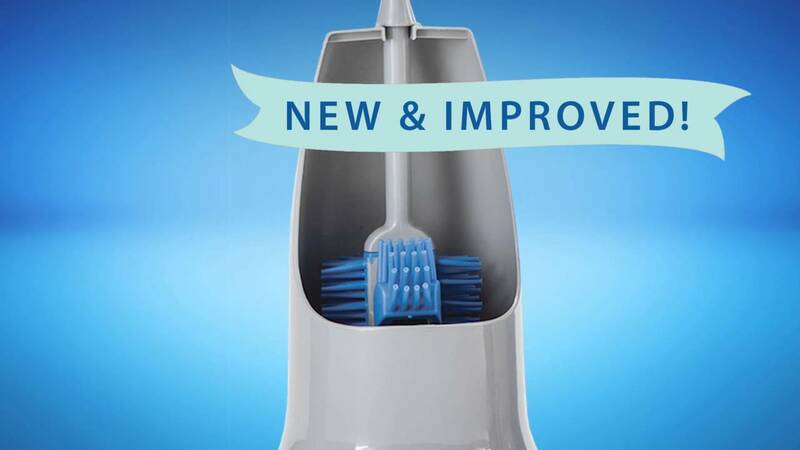 Bristle tips will also begin to fray and soften, which takes away the ability to effectively sanitise the bowl and remove bacteria. Metal brushes can rust and scratch, and can be difficult to clean well under the rim. Squirt a light stream of Norwex Bathroom Cleaner around the inside bowl area. Use the Ergonomic Toilet Brush to clean the entire toilet, including under the rim and on the top edge of the bowl. Allow to work for 3 to 5 minutes and then flush clean. Won’t rust or scratch porcelain. During the 1800s, people realised that poor sanitary conditions caused diseases. Having toilets and sewer systems that could control human waste became a priority to lawmakers, medical experts, inventors and the general public.